In the near future, a weary Logan cares for an ailing Professor X in a hideout on the Mexican border. But Logan's attempts to hide from the world is upended when a young mutant arrives, pursued by dark forces. I don’t think there’s anybody out there, even the most ardent fan, that would argue the X-Men movies haven’t been of variable quality. One thing that’s always remained consistent, however, is Hugh Jackman’s performance as Wolverine — which has always delivered. No surprise that Wolverine is the mutant who keeps being given solo movies, even if those have also been of mixed success. 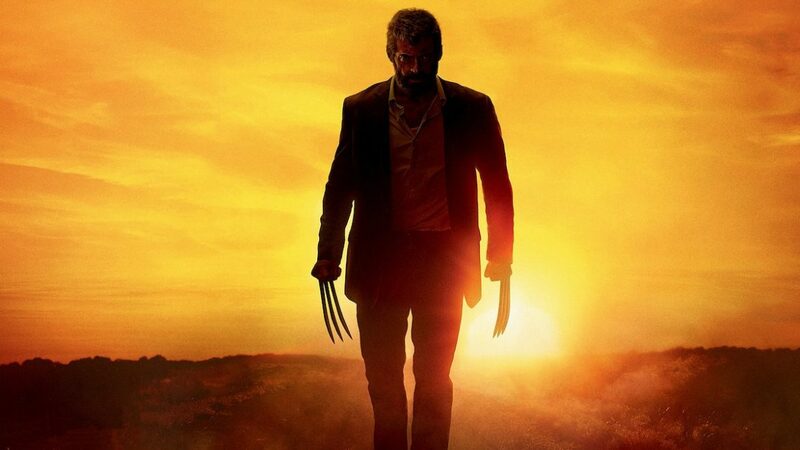 Until now, that is, because Logan isn’t just the best Wolverine movie, or the best X-Men adventure ever made, it’s one of the best superhero movies you’re ever likely to see. And much of that is down to the fact that it isn’t really a superhero movie at all. 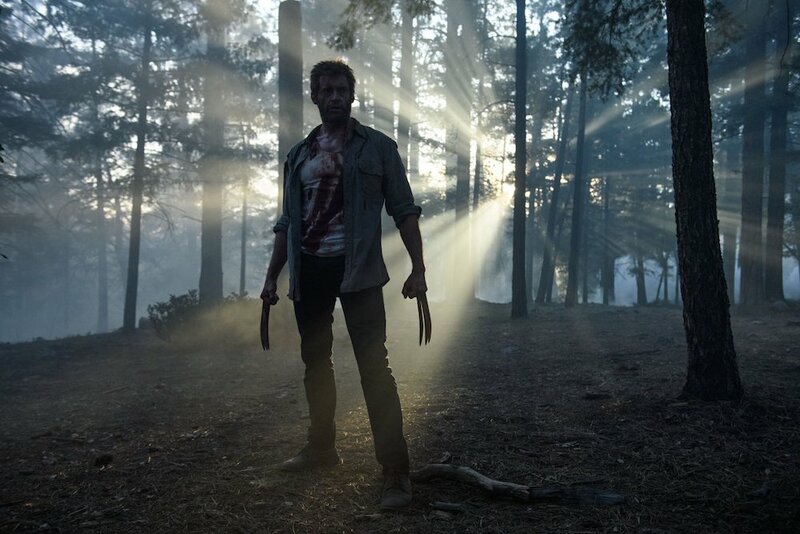 Set in a dystopian near-future where no new mutants are being born, Logan/Wolverine is one of the few that remain. He fills his days working as a limo driver in the south of America, close to the Mexican border. His powers waning, the venerable X-Man is coming to terms with his mortality. 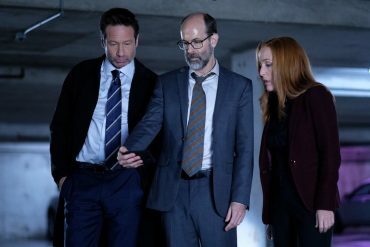 He lives with an albino mutant named Caliban (Stephen Merchant), and cares for a senile Charles Xavier (Patrick Stewart) as best he can — which isn’t an easy thing when the world’s most psychic brain is starting to deteriorate. It’s a quiet, if fraught, existence, and one the arrival of a young girl name Laura (Dafne Keen) shatters completely. With the relentless forces of mutant-tampering organisation Transigen hot on her heels, Logan finds himself reluctantly escorting Laura to an alleged mutant “safe zone” to the north. From the opening moments of Logan, you know you’re in for something atypical of superhero fare. Logan is violent. Wolverine’s claws are always put to good use, but here they’re brutal and devastating. Heads are impaled, limbs are severed, and the camera doesn’t shy away. 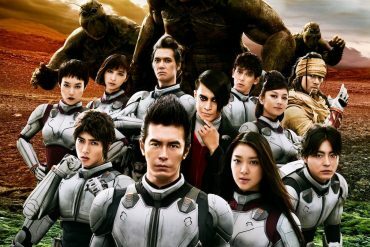 The action is savage throughout, and made all the more effective for being enacted on humans, rather than, say, powerful aliens or regenerative mutants. It’s bloodthirsty and full of bad language, marking it out as a considerably more adult “X-Men movie” than we’re used to. But its not just blood and swears that make Logan different. Director James Mangold has crafted a picture that’s a superhero movie in name only. Logan is shot more like a Western, something Mangold acknowledges by having our heroes watch Shane in a motel room at one point (although Logan’s closer to the dark revisionism of Clint Eastwood’s Unforgiven than Shane.) The ageing gunslinger forced back into action is a hoary cliche, but exchanging a six-shooter for adamantium claws helps it feel fresh. 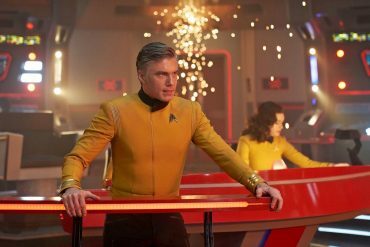 The film avoids all the usual trappings of its comic book DNA, and as such is able to delve far deeper into character and themes without the need for world-ending threats or city-destroying set-pieces. The difference from Mangold’s previous Wolverine film is marked. Directing from his own story has given him freedom to express what was only hinted at in The Wolverine, but came with blockbuster concessions. It’s assured and confident filmmaking that explores the fallibility of its heroes, the frailty of their tenuous existences, and the sad, inevitable truth of getting older. The world in Logan is unrecognisable from that of, say, X-Men Origins: Wolverine. A hot and sweaty atmosphere pervades, and the sense of a world and its population in decline is palpable. The film is wreathed in pain, and it now seems impossible to think that these characters once wore lycra. 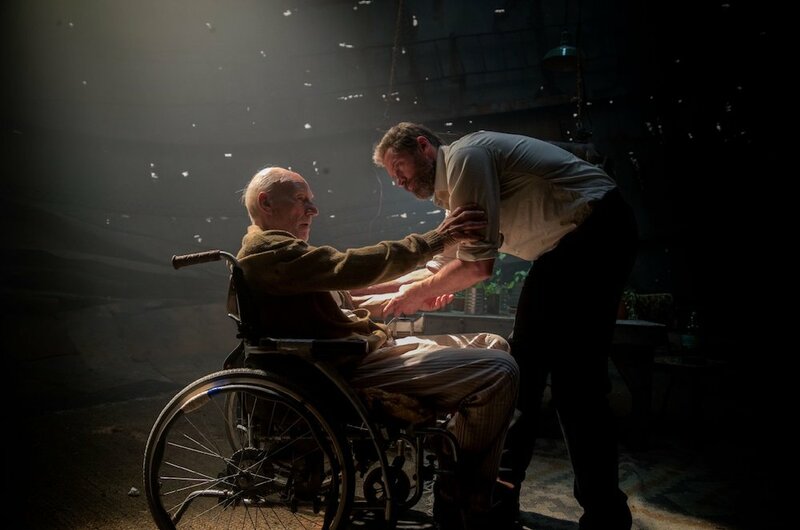 Logan and Charles (it even seems disrespectful to refer to them as ‘Wolverine’ or ‘Professor X’) have always been two of the franchise’s best characters, and Jackman and Stewart two of its greatest actors. Putting them in a film together should have been a no-brainer, and sure enough it works brilliantly. Jackman has lived and breathed this role for 17 years, but he’s never been better than here. Stewart is simply phenomenal, too, blending his signature English class with layers of heart-breaking fragility. 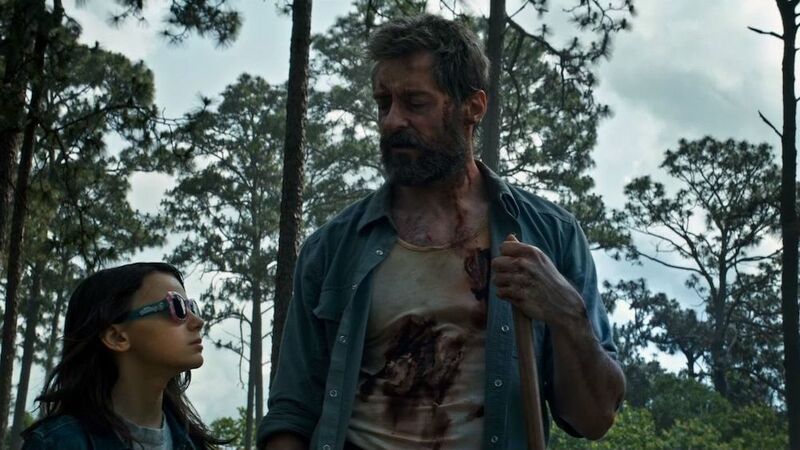 The depth of Logan and Charles’ shared history is felt in every interaction; the weight of so many years, both in story terms, and in previous movies, lends the film a poignancy that can’t be faked. 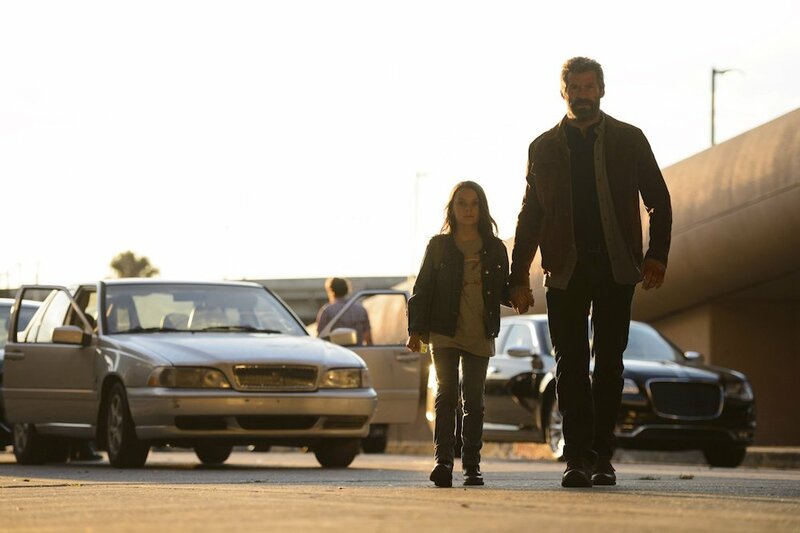 As young Laura (or “X-23”), a mutant with some familiar powers and abilities, newcomer Dafne Keen is a revelation. She does wonders with minimal dialogue and handles all the action superbly. Laura is an exceptionally dangerous little girl, and even though she’s tiny, Keen manages to convey her character’s threat very well. On the rare occasions when she speaks, her words hit twice as hard. 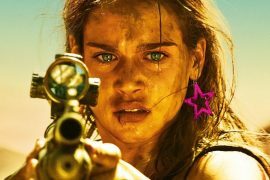 The action throughout is slick, stylish, and inventive (not to mention ultra-violent), and the screenplay pulls no punches, with a few surprises in store. Perhaps the best thing about Logan is how there are genuine stakes. This is a world where people get hit, and sometimes don’t get up again. It’s a refreshing change of pace to the often sterilised superhero genre. If there’s a disappointment, it lies in the villains. Donald Pierce (Boyd Holbrook), the relentless agent in pursuit of Laura, is effective in the early moments, but the film loses track of him and chooses to instead focus on Zander Rice (Richard E. Grant), the head of the Transigen project. 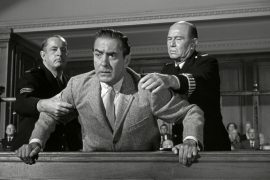 Grant’s character lacks the charisma of Holbrook’s and is underdeveloped. 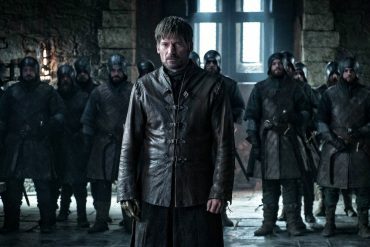 It might have been wiser to combine them into one more efficient villain, rather than split their threat into two characters, but it’s a minor complaint. Playing like a gritty Western crossed with Mad Max: Fury Road (Logan is the first movie to truly build on the influence of George Miller’s modern classic), this is the film that these characters have always deserved to appear in. Undoubtedly the best X-Men film, the real question is whether this even qualifies as an X-Men picture, given how far it stands apart from the rest. Whichever way you qualify it, and whether you’re a devout X-Men fan or not, Mangold’s movie is a fiercely brilliant and intensely affecting action thriller that swaps the tired, bloated formula of super-heroism for something more low-key, gritty, and believable. Taking fantastic characters and placing them in an uncompromisingly real world proves to be a masterstroke, and Jackman’s swansong as Wolverine demands to be seen on the big screen. starring: Hugh Jackman, Patrick Stewart, Richard E. Grant, Boyd Holbrook, Stephen Merchant & Dafne Keen.